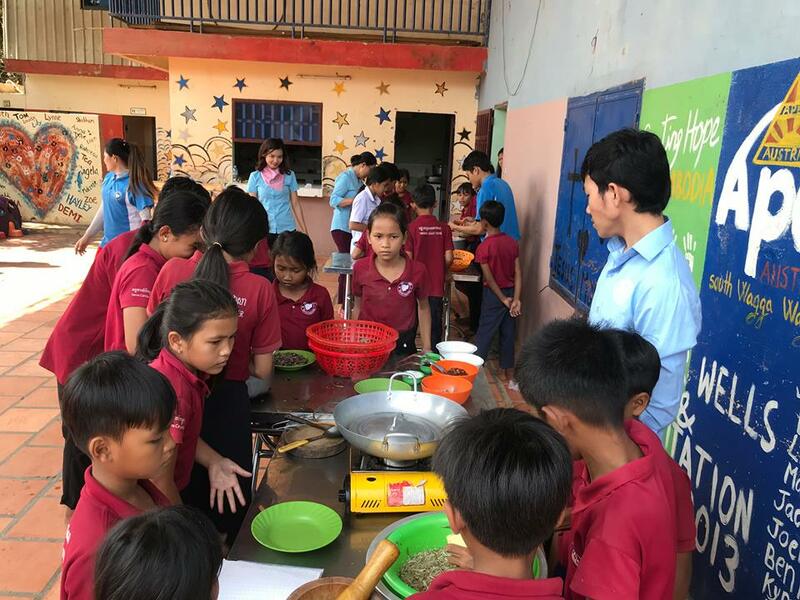 In order to make the atmosphere more interesting and to encourage healthy diets and teach home cooking skills, our Serve Cambodia education centres have organized a cooking competition that cook by our students in school. 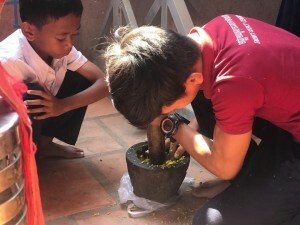 We divided our students into six main groups with three group for the morning classes and another three group for the afternoon classes. 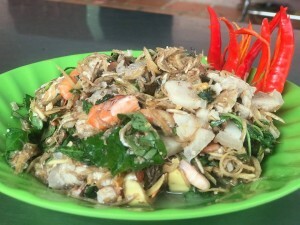 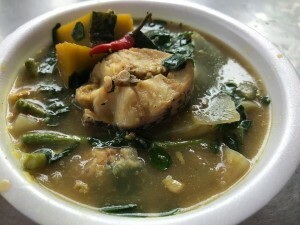 Our dishes on the menu are things like Som Lor kor ko, Chha Kapik and Nhoum Sdout – these are Cambodian tradition food. 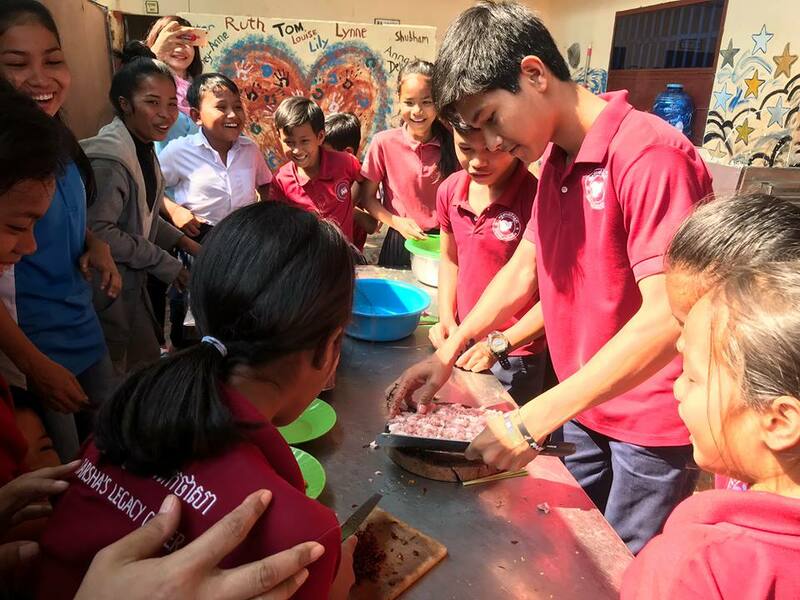 All of these recipes the students have learnt how to cook from the beginning of the week, and this weekend, that is the time to release the ability and to show the result they have learned! 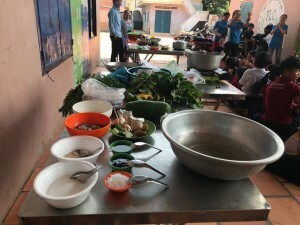 At the beginning, we see that each group is united, assigning different roles to doing something like picking vegetables, washing vegetables, slice the meat. 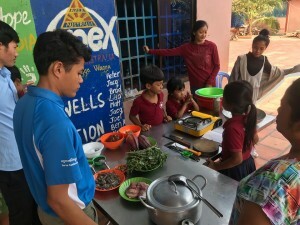 Every single group they all need to bring the cooking materials for their own team. After 15 minutes, the smell of the food starts to fly out, making everyone more motivated to do more and looks forward to eating. Not as long before all three teams had finished their cooking and they decorated the food nicely to attract the attention of the judge and people around. Finally, we see that all the groups have been demonstrate their cooking very well and the food taste yummy and everybody had meal together with happy smile! 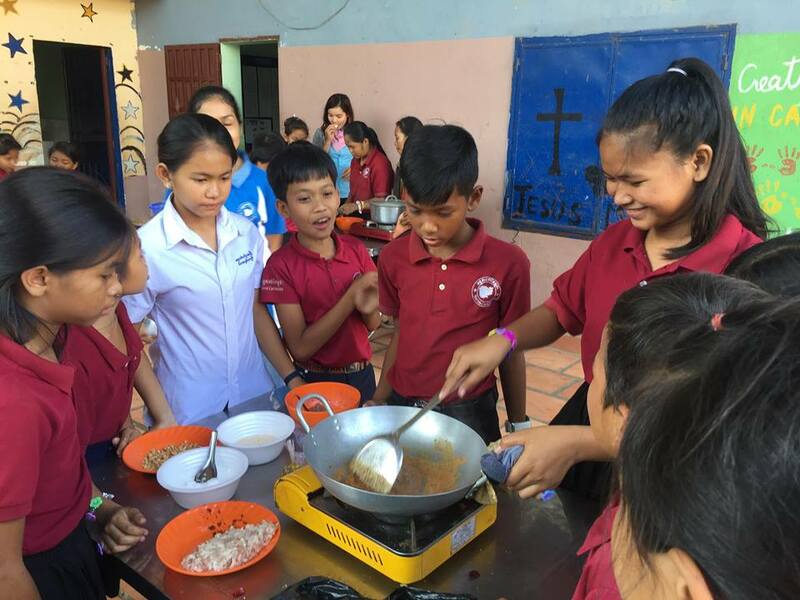 We hope that each student can take home the lessons they are learning about healthy eating, safe food preparation and confidence in their cooking skills to contribute to their family, and to help their life when they are older with children of their own. 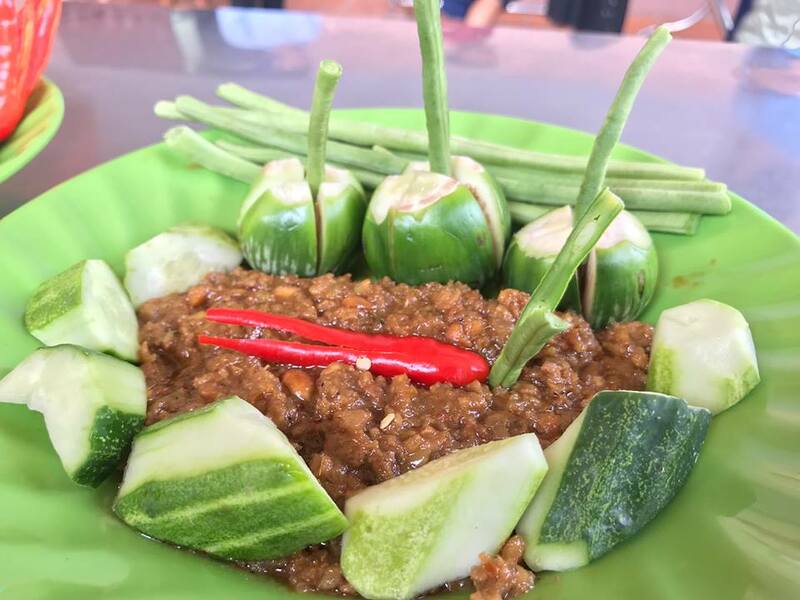 They can also enjoy learning and celebrating their own Cambodian culture with traditional recipes, and maybe someone will even discover a new passion for cooking as their career option.